Village Collection Custom home of nearly 3,197 sq.ft. offers rare and desirable Premier Perimeter Location with amazing privacy and breathtaking vast views. This wonderfully designed home offers 3+ Bedrooms & Office 3 baths, a spacious formal living room, elegant formal dining room, gourmet kitchen opening onto sunny view breakfast room and family room with raised hearth fireplace. 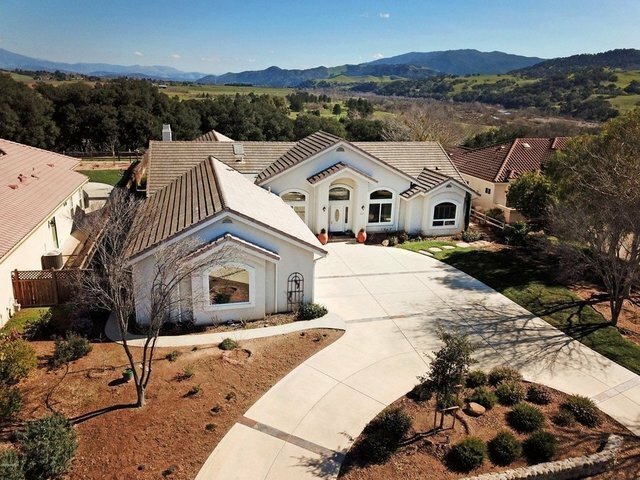 This home has vaulted ceilings and lots of picture windows to bring the light and magnificent landscape in concert with the dramatic hills of the Santa Ynez Mountain range. Almost every room in the house graciously opens onto an entertainment patio and refreshing pool & spa area with a dining arbor. There are abundant walking paths, a greenbelt area, and a short stroll into the town of Solvang.